A Literary Odyssey: Sunday Salon: May 2, 2010. Matt and I spent the weekend in Battle Creek, MI for my friend's wedding. I met Sarah in college and we have become incredibly close friends, even though we are pretty opposite. She is a numbers kind of a girl, and I am obviously a words kind of girl, but we are incredibly close and I love her dearly. She stood up in our wedding back in December and I was so honored when she asked me to be one of her bridesmaids. It was great to see someone I care about get married to someone who is so right for her. It was a beautiful wedding ceremony and it touched me deeply. The reception was a great party. The best part of all of it was reaffirming my own feelings towards Matt. I think too often people get wrapped up in the day to day motions and forget what is truly important. I made sure to schedule a post for yesterday and I was happy to see that some people answered my questions. If you haven't already, I would appreciate some more input! But, I have already decided on a few things that I want to add. I agree that my blog needs to be a little more interactive, so I have a few things stewing in my head. I have two things I would love to get started on right away, but they require some reader participation. 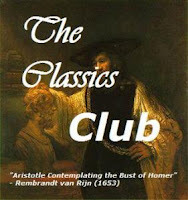 The first is a new feature where I would like to interview readers on classics they have read. You don't have to read a new-to-you classic to participate, but just be willing to answer some questions and give your thoughts. You also don't have to pick a book that is on my list, or one that I have finished already. It simply needs to be a book by a classic author. If you are interested in participating, please e-mail me (you can find my e-mail on my blogger profile page). I would love to have as many people participate as possible! It will be great to get other opinions on these great works. Second, I really want to host some more read-alongs. Based on my experience with read-alongs, I think that scheduling one date to discuss the whole book will work better than "assigned" reading. 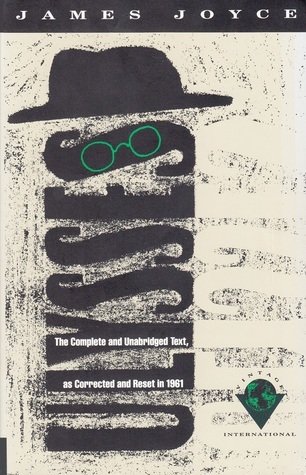 One of my goals when I started this blog was to encourage more people to read more of the classics, since they are often forgotten, or snubbed. One of the things I am learning about these works is that they are not nearly as inaccessible as I thought they were. In fact, I have loved almost every book I have read for this project, with a few small exceptions. I find that to be an overwhelming result! There should be a poll in the side bar (or there will be shortly), of what you would like to read first in a read-along. I am trying to offer a variety and I hope people will participate. Please vote!! I have also rethought the structure of my posts. From this point forward I am going to combine my "book stats" post with my initial post on each book. I am still going to keep posting multiple posts, but I will try and provide links to my other posts on each book. For me, reading is a process and I like to document my thoughts as I read through each book. I doubt I will do this when I return to my regular reading habits, but I find I have so much to talk about when I read the classics that it is too much for one post. Wow, that was a lot of discussion. Anyway, I hope you all have a great reading week. Personally, I have been in a bit of a reading slump, so I am hoping I can get out of it this week and get some wonderful books read! Allie, I don't know if you know that I exist, but my entire blog is an extended one-sided interview about the classics! I've never understood why more bloggers don't use multiple posts to write about books. We're free, free! Just as you say, when I read a book of any complexity, it provides all sorts of directions - why not pursue some of them? Who's in charge here? Anyway, best of luck with the new ideas. I will happily participate in the interview about the classics. I'll email you in a bit.